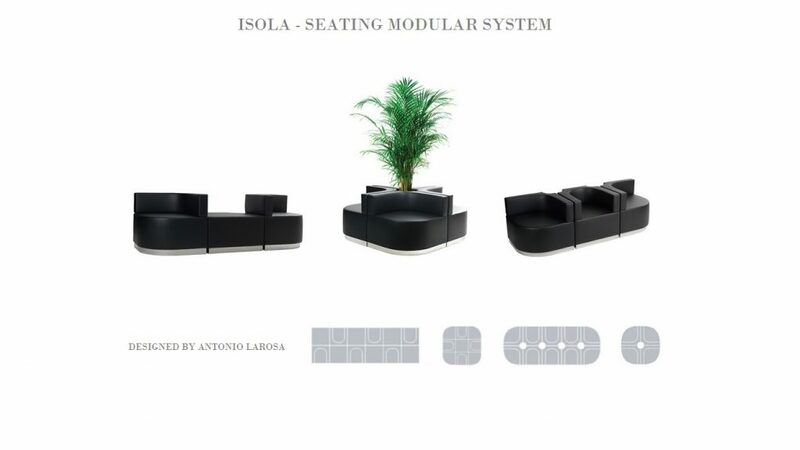 Isola is a unique, modular seating system specifically designed for public areas such as lobbies, airports, and shopping centers. The distinctive, flexible design allow for incorporation of a planter or a closed center. Welded tubular steel frame, seat and back in high density polyurethane foam. 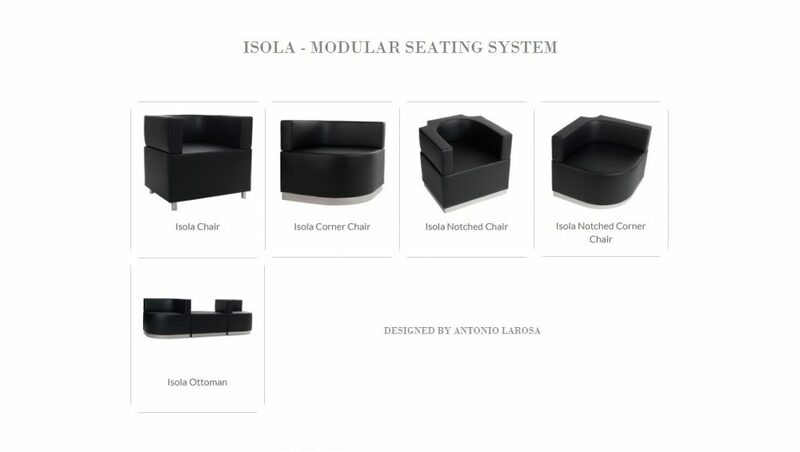 Crafted in Italy for Benchmark Design Group, Isola is available COM, vinyl, fabric or leather.